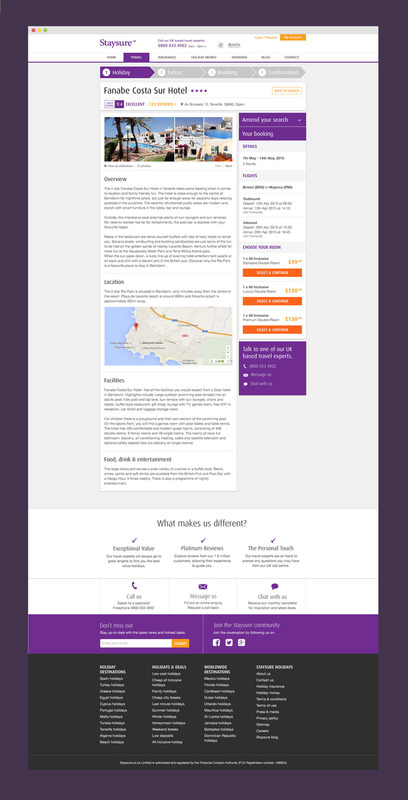 Staysure is a UK company selling travel insurance to the over 50’s market. Having already grown a successful holiday insurance business they were now looking to expand into selling the actual holidays as well. Working with the London design agency, Feref, I was contacted to design the new holiday site as well update the companies digital style guide, while keeping their brands message and colour scheme in place. 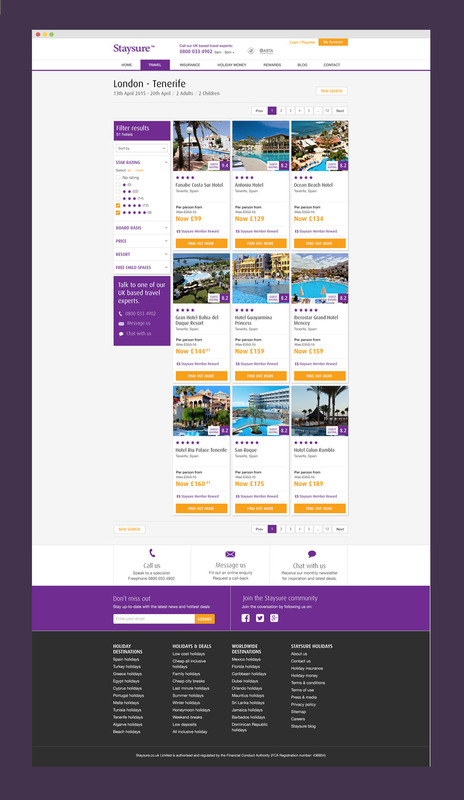 Working closely with the Creative Director of Feref, I was the only designer on this project working on both the UX and UI for the responsive website.